Set 70 metres from Roses Beach and a 5-minute walk from the city marina, Agi Macià Centro is located in Roses City Centre. This property offers apartments for up to 7 people. Each apartment in this property has a living space with a flat-screen TV, sofa bed, and dining table, while the kitchen is equipped with an oven, microwave, fridge, and coffee machine. Some apartments have a balcony. You can find several restaurants and bars within a 5-minute walk of Agi Macià Centro, and there is a grocery shop 240 metres away. 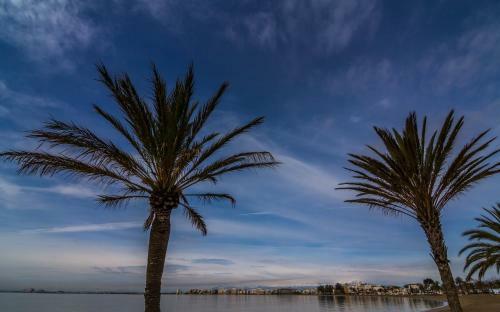 Empuriabrava and its canalas are 10 minutes away by car.